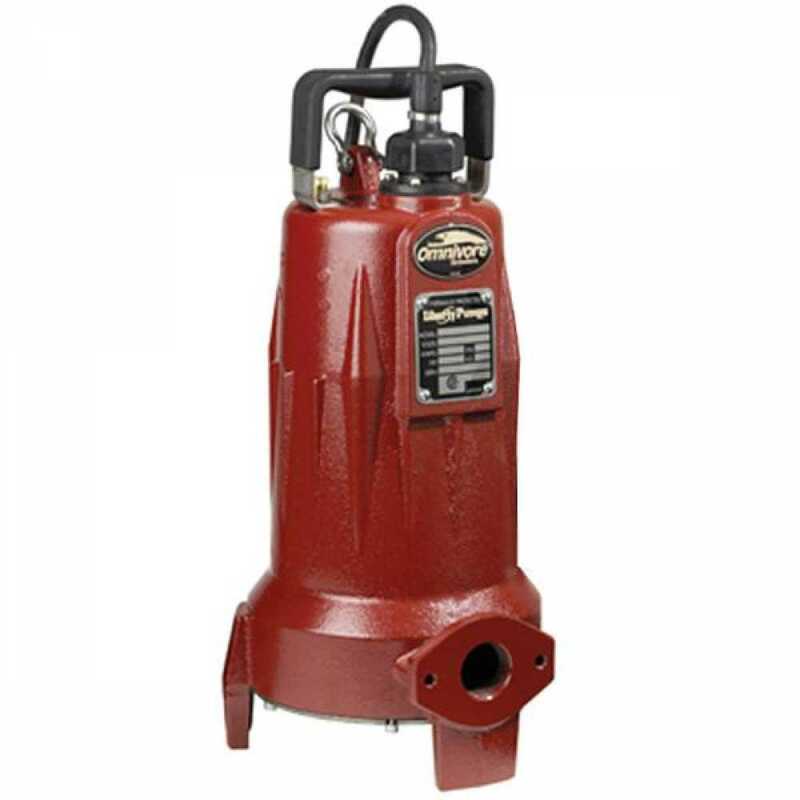 The LSGX203M from Liberty Pumps is a Manual Omnivore X2 Grinder Pump, 2HP, 25' cord, 208/230V 3-Phase. With twin stainless steel impellers driving flow to maximum heads of over 180 feet, the LSGX Grinder Pump can be installed in applications where traditional progressive cavity style pumps have been required. It has better cutting, more flow with the same pressure, greater reliability. 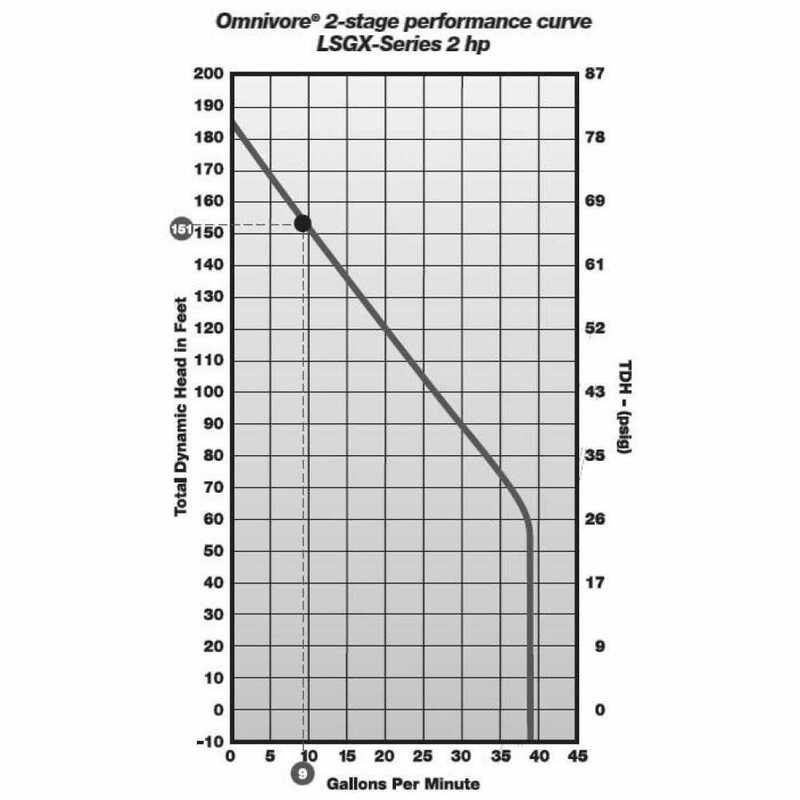 With proven V-Slice cutter technology, the Omnivore Grinder Pump LSGX203M macerates sanitary waste into a fine slurry allowing it to be pumped through small diameter pipe - eliminating costly gravity systems with larger pipe and deep trenching. 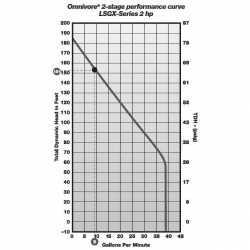 The LSGX-Series curve provides superior flows over a wide range of typical pressures - necessary for multi-unit developments and "large-area" low pressure sewer systems. The 2-stage Liberty Pumps LSGX203M allows installation of a centrifugal design where progressive cavity style pumps have traditionally been installed. Liberty LSGX-Series Grinder Pumps are designed for continuous underwater operation. The motor and pump form a close coupled, watertight unit. The induction motor is insulated against heat and moisture in accordance with Class B 265F regulations. The Omnivore Grinders may be guide rail mounted using Liberty's GR20 guide rail base, or stand-alone. Liberty Pumps G90 Flanged Elbow provides vertical discharge for non-guide rail installations. The Liberty LSGX203M Grinder Pump features internal capacitors and does not require a separate control panel for operation. NOTE: These Liberty Grinder Pumps require a separate approved pump control device or panel for automatic operation. Operation of these pumps will be according to the control selected. Make sure the electrical specifications of the control selected properly match the electrical specifications of the pump. Always refer to control panel instructions for proper installation. 3-phase models require a properly sized control panel. Check three phase pumps for proper rotation prior to installing pump(s) in basin.